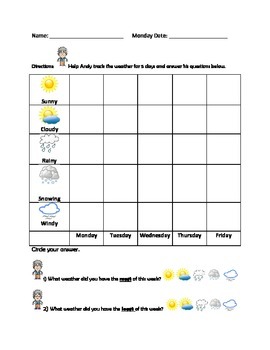 Students track the weather for 5 days and answer simple questions to summarize the weather patterns. 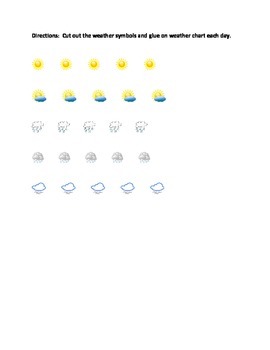 Great addition to interactive book, Andy Questions the Weather! If you find this chart helpful, please take a moment to leave feedback.